Hear about the Green Party’s future from the women who will help shape it. 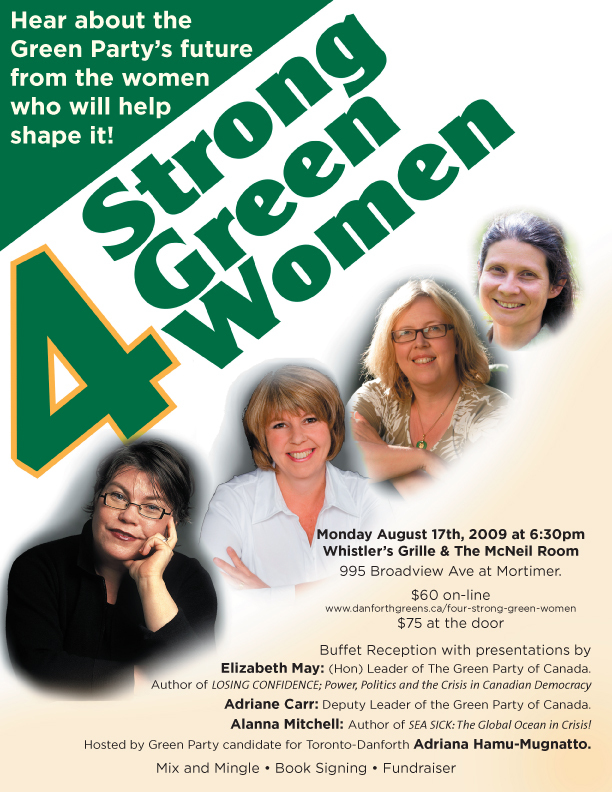 Elizabeth May, Adriane Carr, Alanna Mitchell, Toronto-Danforth candidate Adriana Mugnatto-Hamu. Mix and mingle, book signing, fundraiser.